Call today to learn more about our dry eye center and treatments. Your Optometrist in Boise, ID. Call us at (208) 938-2010 today. Welcome to McNeel Eye Center in Boise. Dr. Brian McNeel and the McNeel Eye Center team strive to provide the finest in optometry services. We invite you to browse our website to learn more about our optometry services, and invite you to join our patient family by scheduling an eye exam appointment at our Boise office. McNeel Eye Center is a full service eye and vision care provider and will take both eye emergencies as well as scheduled appointments. 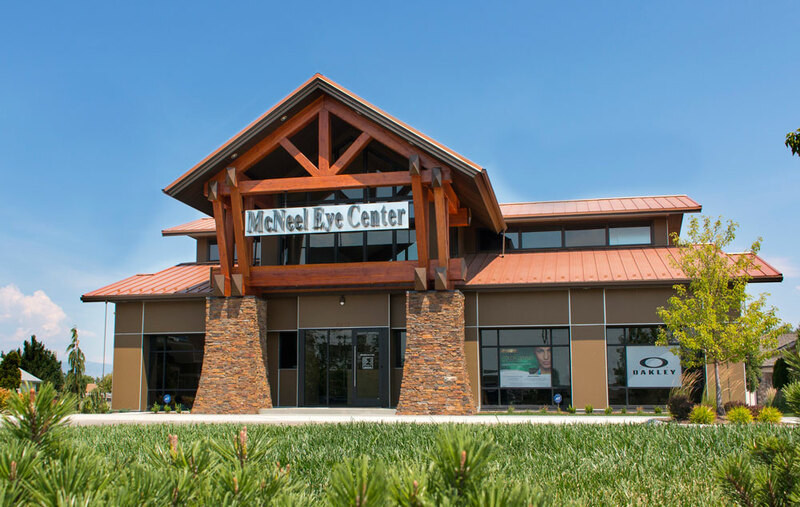 Patients throughout the Boise area come to McNeel Eye Center because they know they will receive the personal attention and professional care that is our foundation. Dr. McNeel and our team are dedicated to keeping our patients comfortable and well-informed at all times. At McNeel Eye Center, we will explain every exam and procedure and answer all of our patient's questions. Additionally, at McNeel Eye Center, we offer vision financing options and will work with vision insurance providers to ensure good eye health and vision care for all of our patients. Our one-on-one approach to optometry makes Dr. McNeel and the McNeel Eye Center staff the eye and vision care providers of choice in the Boise area. Our Boise optometrist offers the following services: complete eye exams, keratoconus management, contact lenses, glasses, glaucoma testing, and pre- and post-operative care. For a complete list of services, visit our services page or call our Boise office at (208) 938-2010. 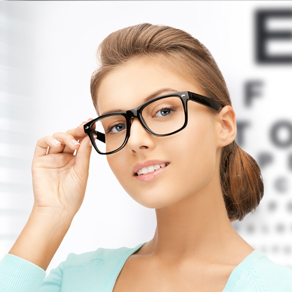 At McNeel Eye Center, we are dedicated to providing high-quality optometry services in a comfortable environment. Call us at (208) 938-2010 or schedule an appointment today online. Dr. Brian J. McNeel is the Founder and Owner of McNeel Eye Center. He received his Bachelor's degree from The College of Idaho in 1988. Following graduation, he spent three years conducting research in immunology at the University of Washington in Seattle. In fact, several discoveries made in Dr. McNeel's laboratory are still used internationally in cancer research. Dr. McNeel graduated at the top of his class from the Southern California of Optometry in 1995. He joined the staff of The Eye Institute of Utah in 1997, and Hollingshead Eye Center in Boise shortly thereafter. Following 12 years of practice he decided to relocate his office to Eagle Road to be nearer his home and family. A fellow of the American Academy of Optometry, Dr. McNeel is board certified in the treatment and management of ocular disease. Additionally, he held a faculty appointment at The Ohio State University's College of Optometry as an adjunct clinical instructor. An accomplished lecturer, Dr. McNeel teaches continuing medical education to optometrists in many states. Dr. McNeel is one of Idaho's most experienced provider of LASIK and cataract aftercare with well over 30,000 office visits related to these and other surgeries. He is available for comprehensive and medical eye examinations, contact lens fitting, advanced dry eye disease and he offers consultations to patients of all ages. Dr. McNeel is currently conducting a clinical trial utilizing a gentle epithelium-on approach to treating Keratoconus with corneal crosslinking. This novel approach to managing Keratoconus is unique to Dr. McNeel and he is one of two people in Idaho treating this sight threatening disease with this new method. Dr. Nicole A. Thomas is a Boise native who graduated from The College of Idaho and completed her education at the Illinois College of Optometry in Chicago, IL. After practicing in Chicago for a year, she looks forward to returning to her home state for a more personal practice opportunity working with Dr. McNeel and his staff. Clinical interests include: working with kids, dry eye therapy, and making certain that her patients leave the office feeling cared for. We are so excited to have her here to meet all of your vision needs! "I really enjoy the awesome staff at McNeel Eye Center. Khelsea took the time to sit down with me and helped me choose my glasses. Dr McNeel really takes the time to make you feel like you're important. I would highly recommend McNeel Eye Center. He will always be my eye Doctor!" "Great service from everyone here! Dr. McNeel is excellent and has been my eye doctor for years. Professional and personable! 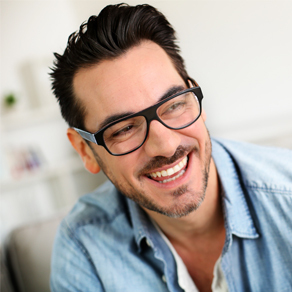 At his recommendation I had LASIK on both eyes and couldn’t be more pleased with the outcome!" "Great staff! Super nice and helpful! Got my glasses in a week!"